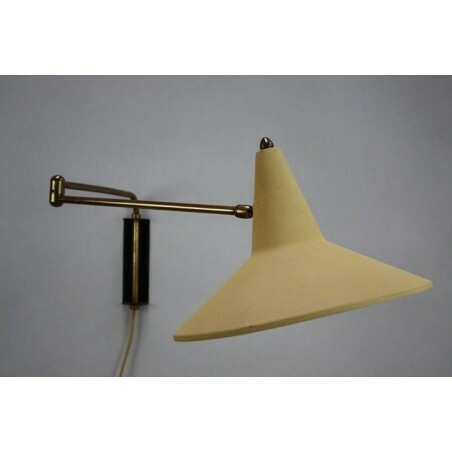 Original wall lamp from the fifties. The lamp is designed in the style of Rietveld. 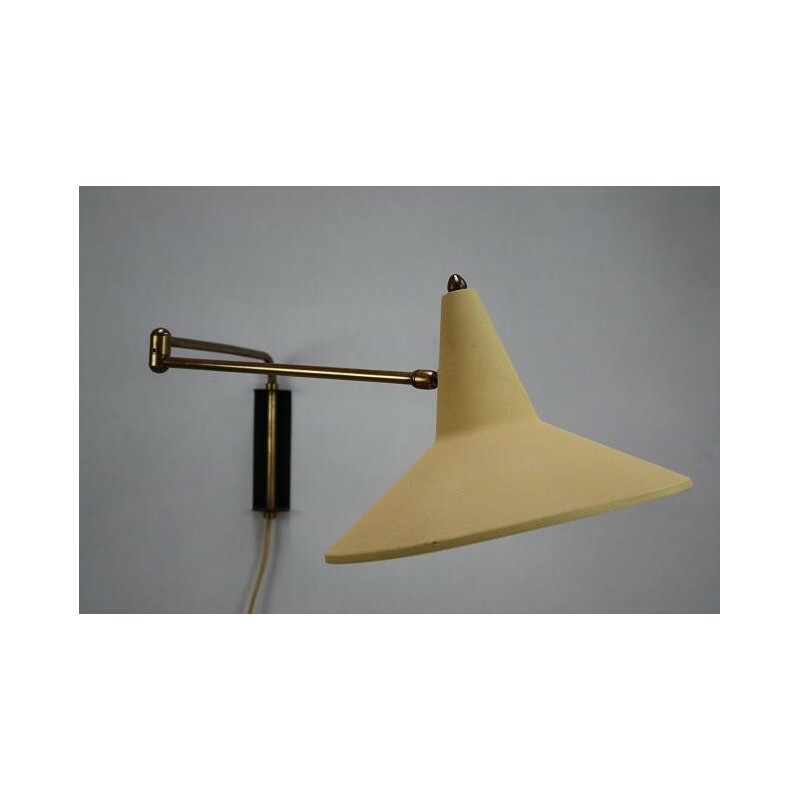 The lamp has a yellow cap and a copper-colored arm. 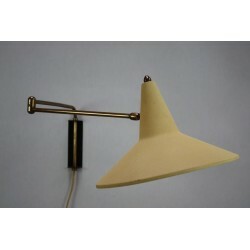 The light from the lamp can be directed easily through the adjustable arm and hood. The lamp is in good condition. The diameter of the cap is 26.5 cm.